Meet The Colombia Soccer National Team: Will They Win? For those who will travel to Colombia for the first time, you should know that soccer is a very important sport. In fact, it’s more than a sport, it’s a culture, it’s almost a religion. And when it comes to the Colombian soccer team, the subject becomes even more passionate. Although the Colombian soccer team has existed since the 1930s, its best times have been in the first half of the 90s and today. That’s why the World Cup in Russia is so important for all Colombians. It’s a month of emotion, where Colombians forget everything that happens around and focus solely on each match of the national team. 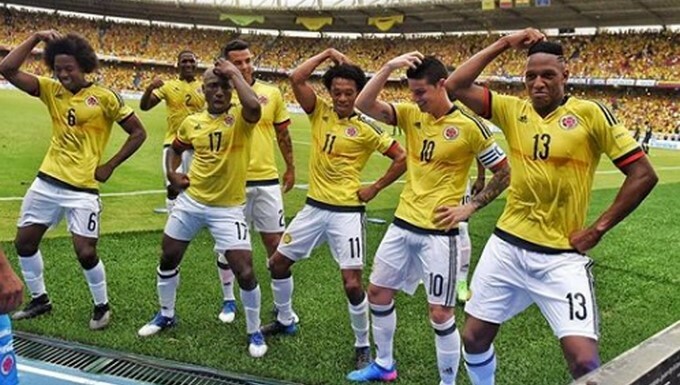 For you to understand even more the passion that Colombia has for its soccer team, we will present it to you and we will give you a forecast about its performance in the World Cup in Russia. Currently, the Colombian soccer team has several international figures. Among them, the most known are James Rodriguez -current Bayern Munich player, on loan from Real Madrid- and Radamel Falcao García -forward of Monaco-. Besides being the most popular, they have also had a very good performance in the last season. James Rodriguez has excelled in his first season at Bayern Munich and Falcao regained his top scorer level with Monaco. The only doubt is the physical condition of Falcao, since he has suffered several minor injuries throughout the season. Along with James and Falcao, there are other top players who are in the European leagues, such as Luis Fernando Muriel -forward of Sevilla-, Carlos Bacca -forward of Villarreal-, Juan Guillermo Cuadrado -Juventus midfielder – Santiago Arias -defender of PSV Eindhoven- and Davinson Sanchez -defender of Tottenham-. We could also include Yerry Mina, who plays as a defender in Barcelona, ​​and David Ospina, who is an Arsenal goalie. However, both Mina and Ospina have not had a great season in their respective teams. The rest of the players of the Colombia team stand out in Latin American leagues or teams of lower rank in the European leagues. Does Colombia Stands A Chance? After the great performance of the Colombia team in the World Cup in Brazil, where they reached the quarterfinals, Colombians expect a similar result. Although the quality of the team has had ups and downs and seems to be at a disadvantage compared to the World Cup team in Brazil, Colombia is likely to pass the first round as first of group H. Their opponents are Poland, Japan and Senegal. With the exception of Poland, which has high level players such as Robert Lewandowski, Łukasz Piszczek and Jakub Błaszczykowski, both Senegal and Japan seem to have lower group and individual qualities. In case the Colombian team surpasses the first round of groups, it will have to face one of these teams -depending on who passes from group G-: Belgium, Panama, Tunisia and England. Although in other times Colombia would be at a disadvantage compared to England or Belgium, nowadays it seems to have the level to face them. We must remember that, in recent years, Colombia has managed to defeat teams such as Brazil and France, two world powers. Should Colombia overcome the round of 16, it’s likely to face Brazil or Germany. Given the recent matches and the lack of experience in matches against Germany, the Colombian team may have a better chance of overtaking Brazil. Until a few years ago, this was impossible to even think about. But today Colombia has a national team strong enough to make a face to face with the most winning team in history. Beyond this phase, it’s difficult to predict what will happen.